"The Jeremiah Johnson Band deliver a well-rounded album filled with original tracks that are unmistakably influenced by a plethora of different blues traditions. Jeremiah’s singing is raw and emotive. You can feel his love of craft and if his vocals do not convince you, then the top-notch guitar playing will." "While [The Jeremiah Johnson Band] is a hard driving band, you will find some rockabilly, boogie, Southern rock and slowed down more traditional blues for a change of pace. [Blues Heart Attack is] a very bold album." "Blues Heart Attack is not your everyday blues/rock effort. It’s a cut above, thanks to the inspired songwriting and spirited performances from Jeremiah Johnson and the band. This release should please fans of several musical genres." "This great band and their CD will take you high, and take you low, they'll rock you up, and blues ya slow. What strikes me the most is how passionate the vocals and music are across the board." "The highlights of Blues Heart Attack come from Johnson's guitar work on "Summertime" and "Flatline." Here Johnson shows off not only his virtuosity, but that he can play with feeling. The organ's ambiance creates a full sound and takes the band beyond your ordinary blues-rock fair. The variety of styles which the band easily slips into and their chemistry gives the album an authentic get-up-and-dance feel. " Vote for the Jeremiah Johnson Band to be inducted into the St. Louis Rock and Roll Hall of Fame! The Jeremiah Johnson Band performed at inaugural Mississippi Nights Music Fest. 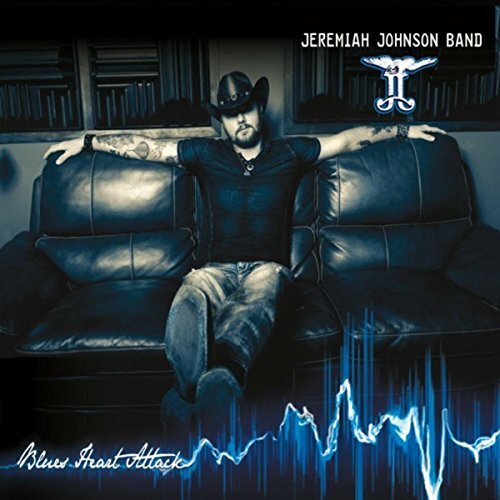 The Jeremiah Johnson Band debuted TWO new music videos, "Skip That Stone" and "Southern Drawl" from their latest album Blues Heart Attack.